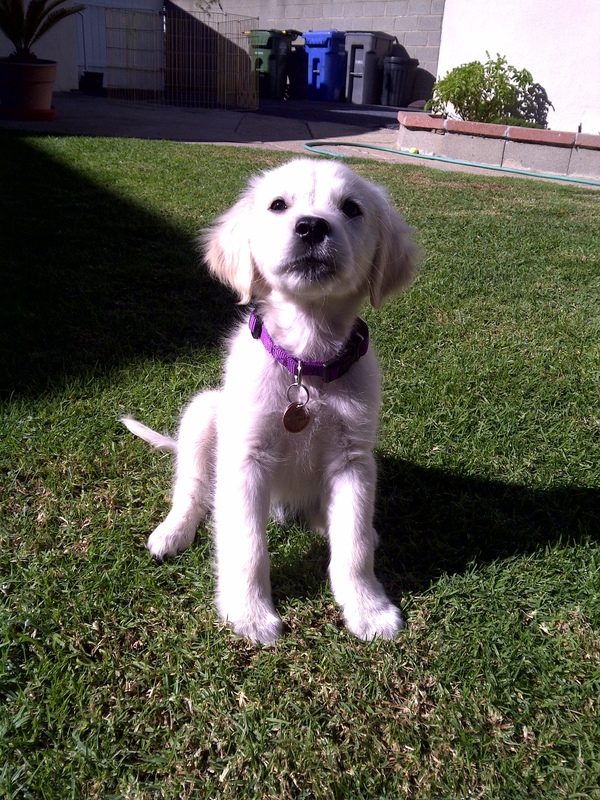 I’m a White Golden Retriever Puppy. I was born in Kersey, Colorado at DoubleBGoldens (www.akcdoublebgoldens.com). My original name from my litter was Bleach. My new name is Nala. I was born on September 3, 2010. I am new to exploring the world around me and am always meeting new people. Watch me grow over the next year on this website. It will certainly be worth it.